Round four of the 2017 Nitro Lubricants AMA Championship Snow Bike Series rolled out for the second year at the Becker County Fairgrounds in downtown Detroit Lakes, Minnesota. Snow is never a problem at this venue because the city dumps all of their annual plowed snow there in a giant pile, and the adjacent ice skating rink also pushes up big heaps of the white stuff. The track construction and grooming came together via a loaner machine from Woodie’s Racing, track design via Midwest Timbersled rep Matt Halseth, and skilled track building by Matt Arola. As snow bikes and their riders continue to improve, race tracks are gradually getting more technical and this year’s 4/10 mile course was twisty and featured a number of whoops, jumps and banked turns with multiple lines and lap times of around 45 seconds. The fast guys showed their colors early, catching big air and playing around with multiple lines. The A Main proved to be a fun spectacle to watch. X Games alum Cody Thomsen (Yam, Camso) from Nisswa, Minnesota, got a great start and led for several laps, but North Dakota’s Harris Huizenga, (Kaw, Timbersled, another X Gamer started closing and took the lead and the win on a hard 180 degree turn on lap 5 when Thomsen spilled and couldn’t get his bike to restart for a time. Montana’s Keaton Ward (Hon, Timbersled) rode to a fast and steady second, with Minnesota’s Colton Davis (Yam, Timbersled) taking third, and endurocross star Cory Graffunder (Hus, Moto Trax) drove out from California to take fourth after dislocating his shoulder earlier in the day. Dustin Traxel (Kaw, Timbersled) rode a smooth, smart race to win the B Main, and South Dakota’s Shayna Lier (Hon, Timbersled) rode very strong to win the women’s class and take 4th in the B Main, over the quickly-improving Jacqueline Riess. The Senior, over-40 class was won by Minnesota’s Jeff Davis, who rode like a guy half his age. 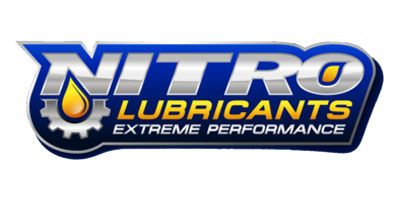 Round 5 of the Nitro Lubricants AMA Championship Snow Bike Series will be held near Hill City, Minnesota at Quadna Mountain Park on February 19, 2017, and will start at 2pm to allow spectators and riders returning from the Minneapolis Supercross to have plenty of time to get to Quadna.